I had only heard of the small city of Bend, Oregon one year ago. During our 3.5-month road trip last year around the U.S., we randomly started chatting with an enthusiastic, talkative man at the top of Angel’s Landing at Zion National Park. Due to our shared interests in life adventures and endurance sports, we ended up swapping cards and keeping in touch. 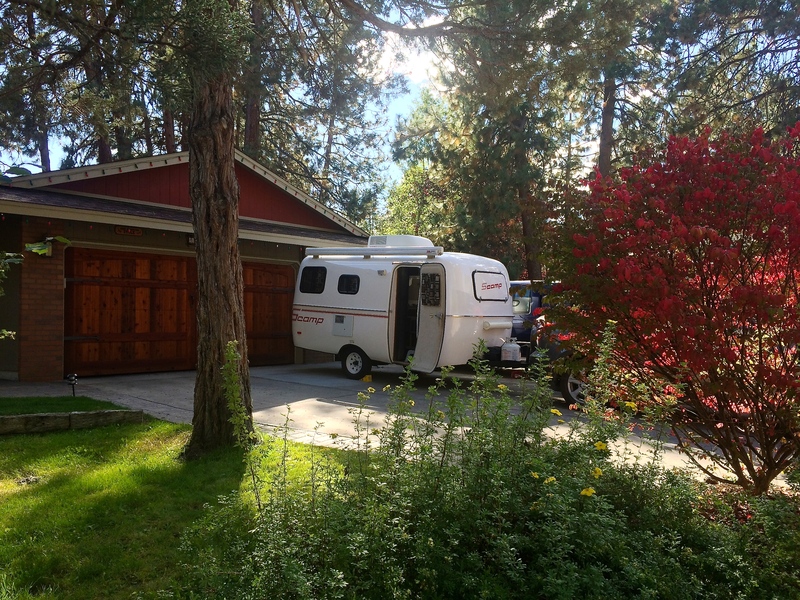 Fast forward to now—I reached out to him and he told us we could stay at his house in Bend! In fact, he wasn’t even home when we arrived but he had left us a key and told us to treat ourselves like home. We both hardly remembered what he looked like. We were complete strangers and had only met once. And now there we were, camped on his driveway with access to his beautiful house in the woods. I quickly learned that this was simply the way of Bend. He just turned 60 and recently bought a sailboat on the east coast with the goal of sailing by himself to the Bahamas in the next year. He was a prime representation of the Bend community. Everyone was wholesome and thrived on fun, the outdoors, and adventure. With its beautiful location and access to mountains, mountains, and more mountains, it seems as if the prerequisite to calling Bend home is simply having a love for life. 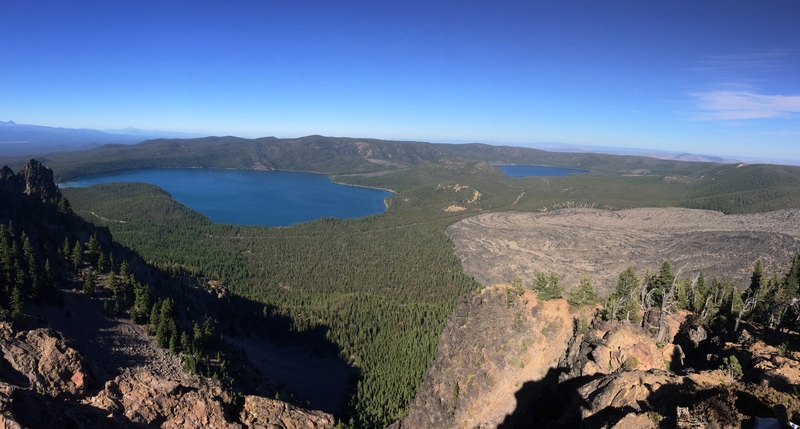 Aside from the numerous brewpubs and creative, fusion restaurants, we visited a couple of local favorites: Pilot Butte, the lakes along the Cascades Lakes Scenic Byway, and Newberry Volcanic National Monument. 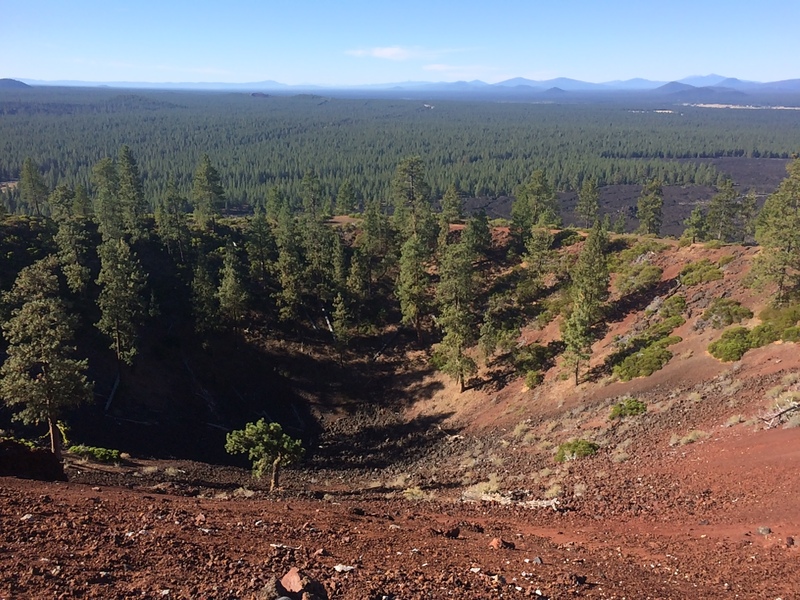 We knew Crater Lake was once an active volcanic area, but little did we know that every little bump, hump, and mountain in Southern Oregon were once volcanoes. 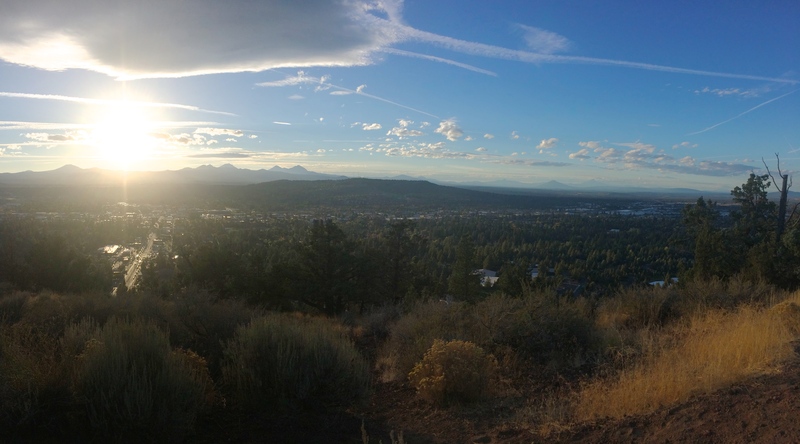 Pilot Butte is the primary butte smack in the center of town and is a popular place for locals at sunset. From Pilot Butte, one can spectate all the mountains around, including Oregon’s tallest peak Mount Hood. Because Bend has mostly spectacular weather year-round, being able to see the surroundings on a clear day is the norm. About 45 minutes east of Bend along the Cascades Lakes Scenic Byway are hundreds of lakes with stunning backdrops and shimmering reflections of volcanoes. Smooth pavement, a gradual ascent into the woods, and Mount Bachelor and the Sisters looming into view make a pleasant drive. In the warmer summer months the lakes are popular with boats, kayaks, canoes, stand-up paddle boarders, swimmers, and fishers. (It wasn’t until I arrived to the lakes that I finally understood why so many people in Bend owned boats.) The chilly fall morning prevented us from entering the water at Elk Lake, so we resorted to enjoying the views from shore with a picnic lunch. 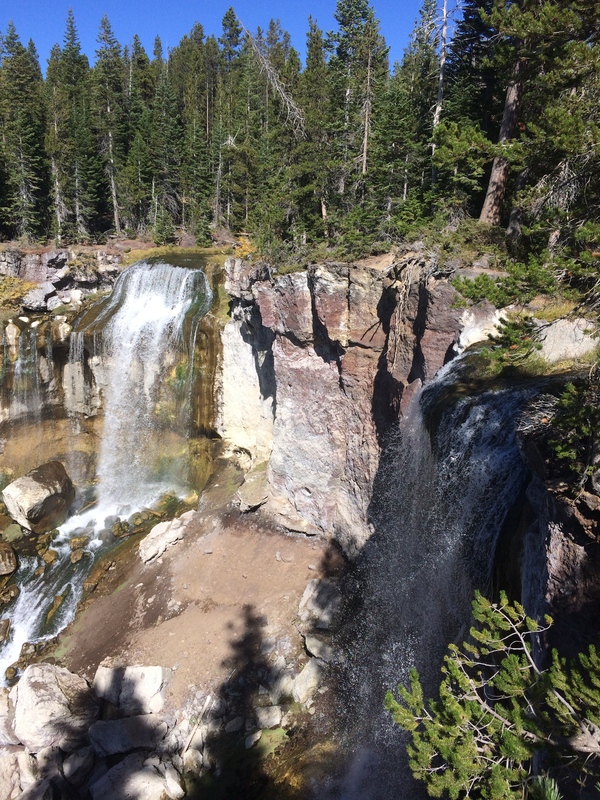 And just about 30 minutes south of Bend lies Newberry Volcanic National Monument, a vast region filled with buttes, calderas, caves, waterfalls, and even an obsidian flow! Unlike most national parks we’ve been to, this national monument featured a diverse range of geological features that kept us thoroughly interested, amused, and fascinated. 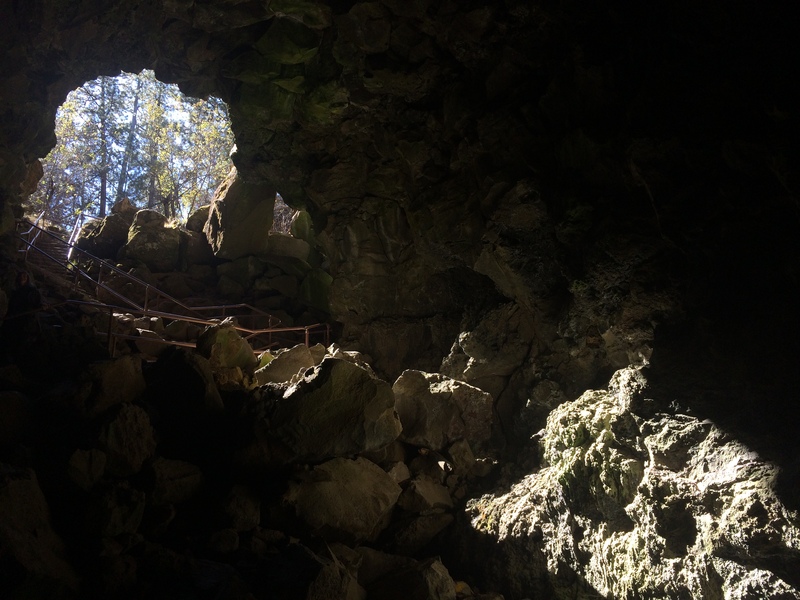 A quick drive down the road led us to our next destination: the lava tunnel. The hike was only about a mile round-trip out and back. 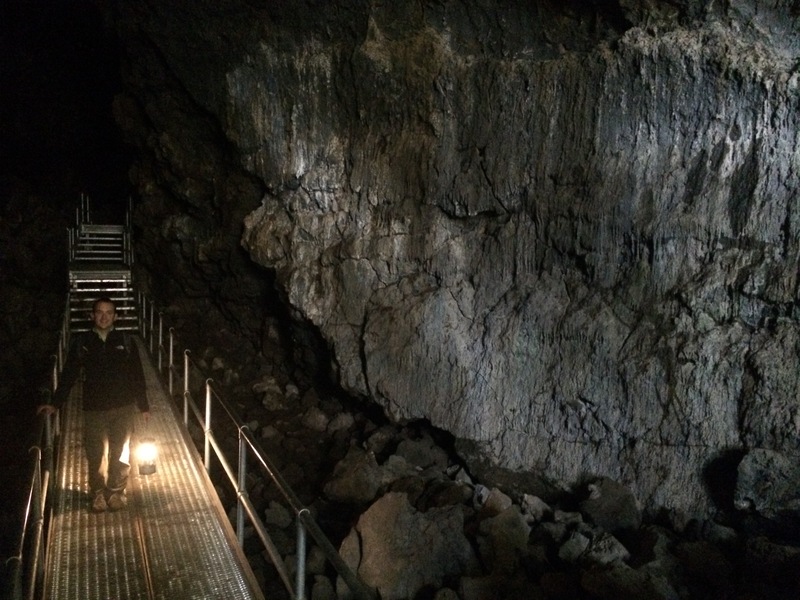 Instead of using headlamps to explore the pitch-black lava tunnel, we opted to use our more traditional gas lantern. But natural light from the entrance gives you a clear idea of how most of the lava tunnel looked. After exploring the lava tunnel we drove further south toward the highest peak in the monument—Paulina Peak. First we took a quick detour to snap a photo of Paulina Falls. 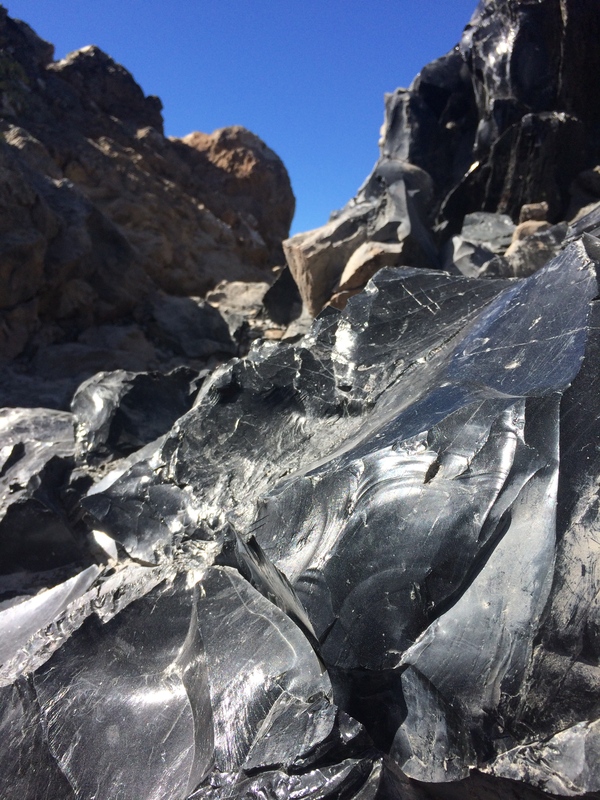 Then we strolled along the 1-mile gentle but sharp and shiny obsidian trail. I didn’t even know what obsidian was until I arrived. Science can better explain it than I can, but in a nutshell, obsidian is black glass formed by lava and was used by Native Americans for tools, weapons, and jewelry. 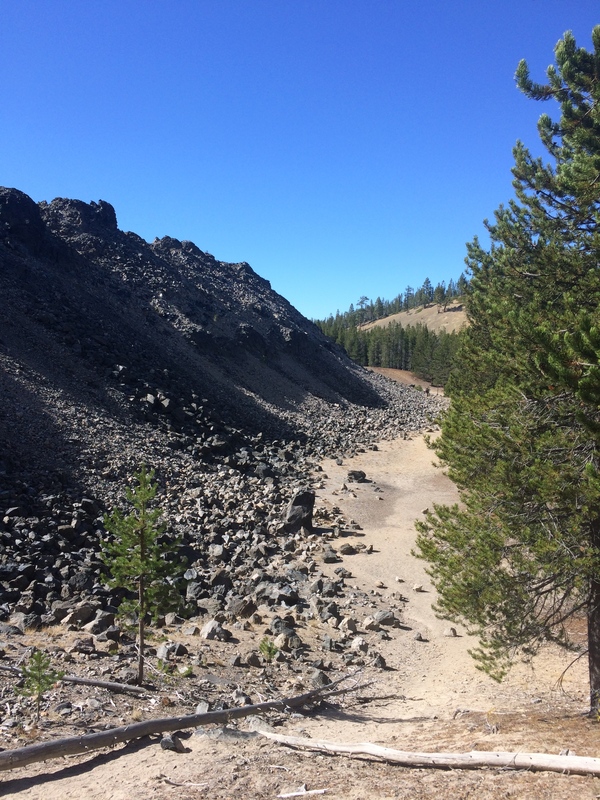 The big obsidian flow in Newberry is Oregon’s youngest lava flow at 1,300 years old. Close encounters with natural, shiny obsidian among its bed of pumice and stone were fascinating. 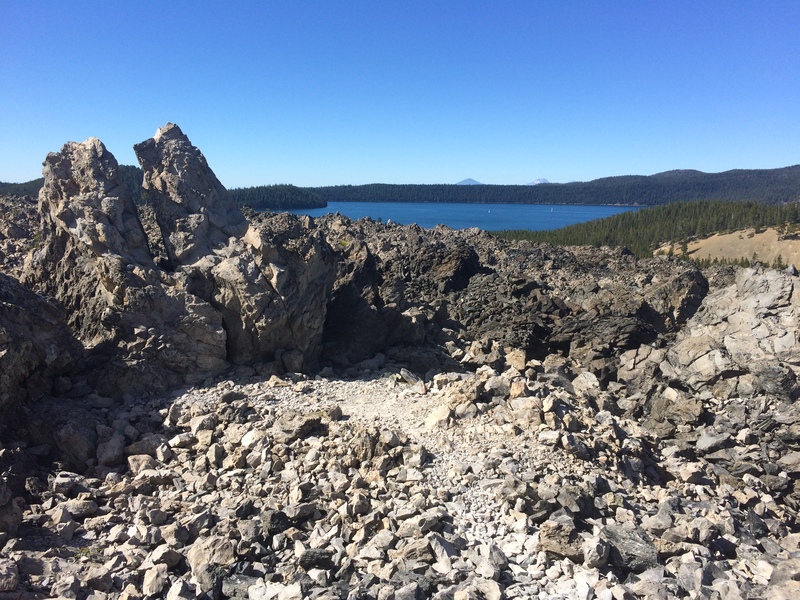 Mounds of obsidian could be seen everywhere, with Paulina Lake in the distance. I loved the stark contrast between the land and where the obsidian came to a halt. It wasn’t far from the big obsidian flow to Paulina Peak, the highest peak in Newberry at 7,989 ft. From there, Paulina Lake and East Lake could be seen, with a caldera between the lakes. Keep in mind that Paulina Falls, the big obsidian flow, and the two lakes are all within the same caldera of the Newberry volcano. Yes, it is difficult to fathom all these beautiful geological features all within the same volcano, but that’s how diverse this region is. Because summer had already passed we weren’t able to take advantage of favorite local activities in Bend such as tubing down the Dechutes River or boating in one of the hundreds of lakes. 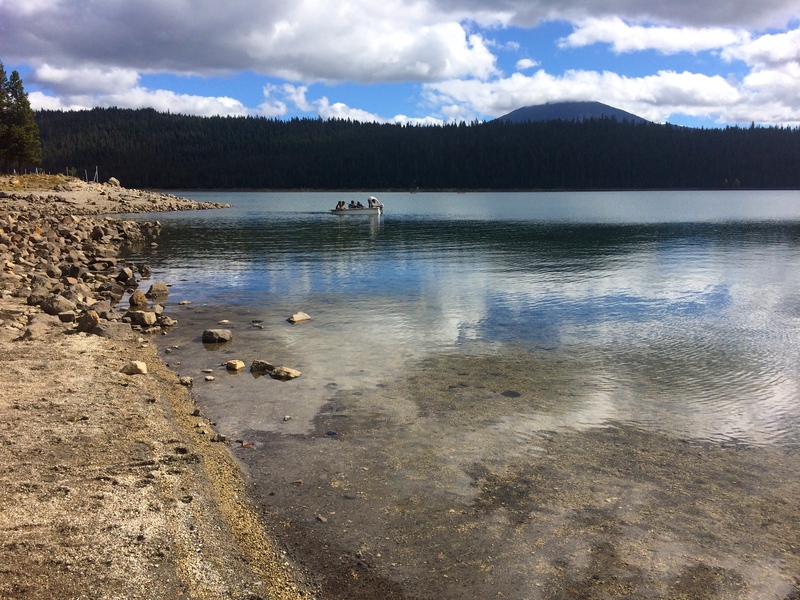 We were at least able to sample just a pinch of Bend by scoping out several lakes along the Cascades Scenic Byway and the national volcanic monument. You can love the wholesomeness of Bend, or become quickly over it like me and be ready to venture north for more diversity in lifestyles and culture. This entry was posted in Oregon and tagged big obsidian flow, elk lake, newberry volcanic national monument, paulina peak. Bookmark the permalink.